This Electric Stimulation Microcurrent Apparatus is portable designed for home use &salon spa use .It can dissolve the fat inside the body including the grease around the bowels and inside the abdomen. At the same time, it can decrease the excitability of the sympathetic nerves and oxygen consumption of fat people. You can loss weight in very short time due to the amassment of point stimulation. This is the best traditional way of losing weight as your perfect body figure can be kept after losing weight by using this instrument. 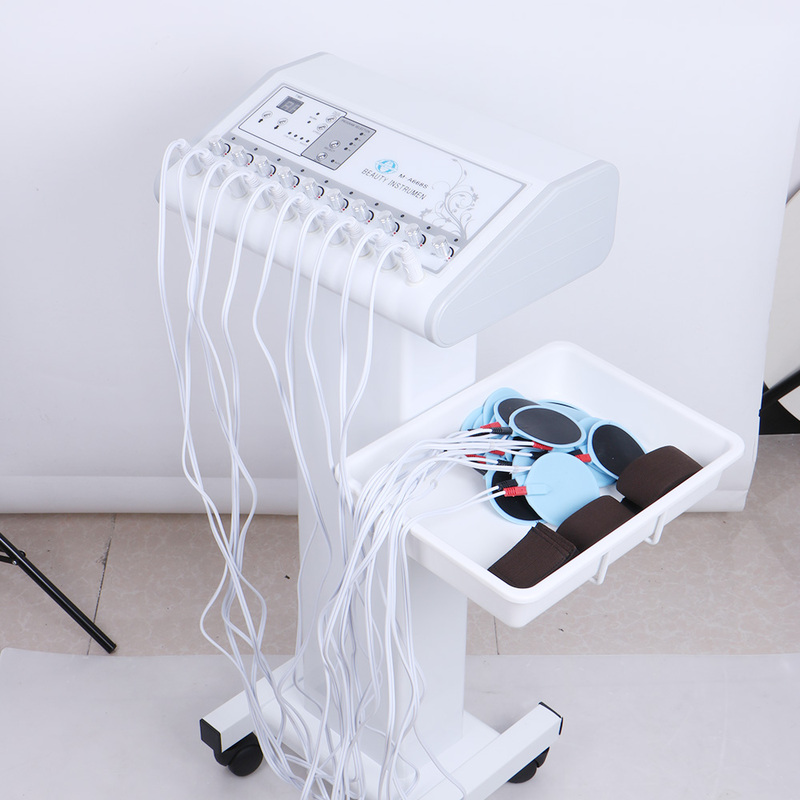 The instrument is organically combined with frequency scan circuit and microcomputer system to create stimulation bioelectricity, and accurately holds the essentials of acupuncture of traditional Chinese Medicine to have regular deep-seated actuation and massage so as to achieve expeditechannels, regularize spirits, break over lymph cycle system, remove internal toxin, improve body microcirculation, promote metaboly, excite and redeploy body power against , so that the bulk of fat cells can be diminished and the skin can be frapped. Electrode pad creates electronic pulse to stimulate special points of body, the electrotherapy effectively exercises muscle, relieve various of body pain, promote blood circulation, accelerate metabolism, help slimming, tighten skin. It can treat all body areas like arms, abdomen, hip, thighs, calf, shoulder, neck, back. Electrode cord is connected with electrode pad.